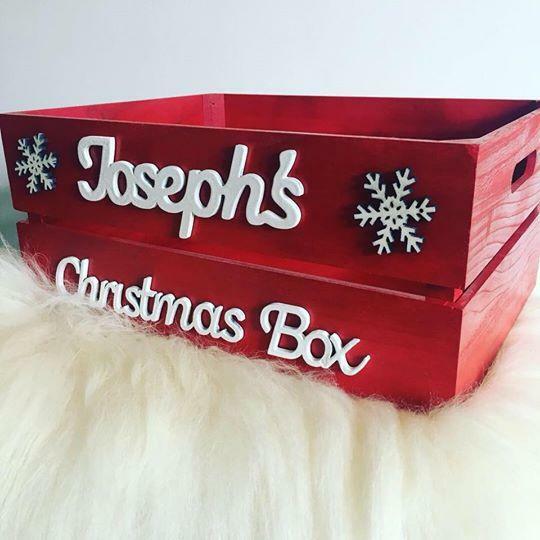 Christmas Box - can be personalised with any name. 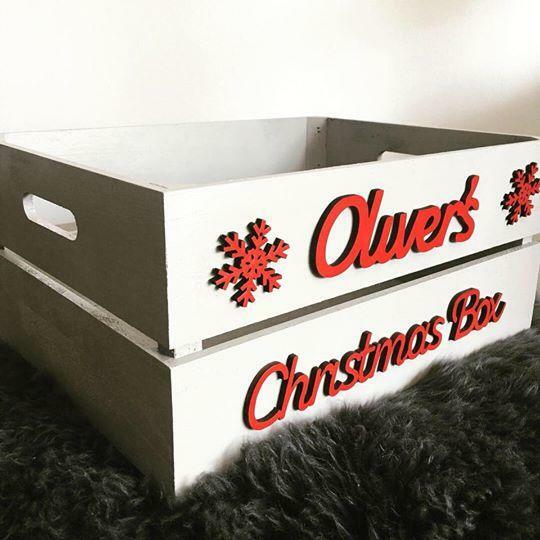 Our Christmas crates are perfect for filling with lovely things for your friends and family. 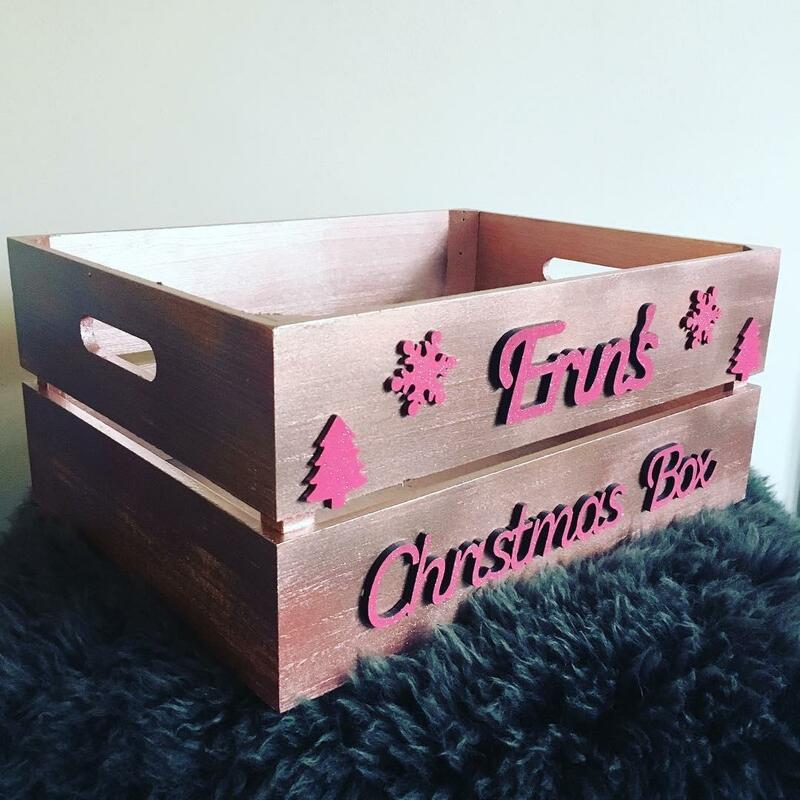 Choose your colours, or get in touch if you have something specific in mind.